The allowed amount (which is what you’ll be paid before coinsurance or deductibles are taken out) is what you’re actually eligible to receive from the different payers. Medicare sets the standard for most commercial payers and they all pay a percentage of the Medicare fee schedule. 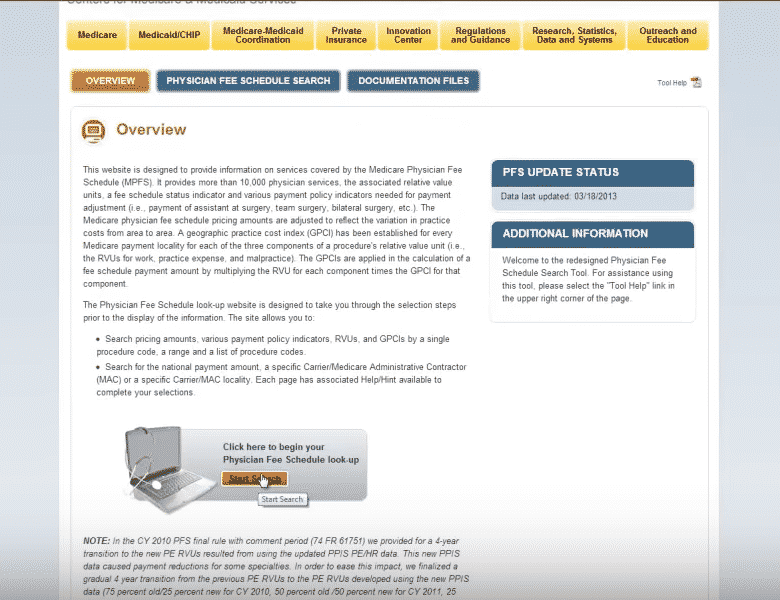 We put together a video a few years ago that helps understand how to use the tool provided by Medicare to research your top CPT codes. Remember to research the fee based on your region. This video will provide you with guidance as it relates to utilizing the Medicare Fee Schedule tool. This entry was posted in Tools and tagged analyze medicare fee schedule, medicare fee schedule, medicare fee schedule search tool.